I’m incredibly chuffed to be on this design team and even more so…set this months challenge for everyone to play along with us on our Facebook group! 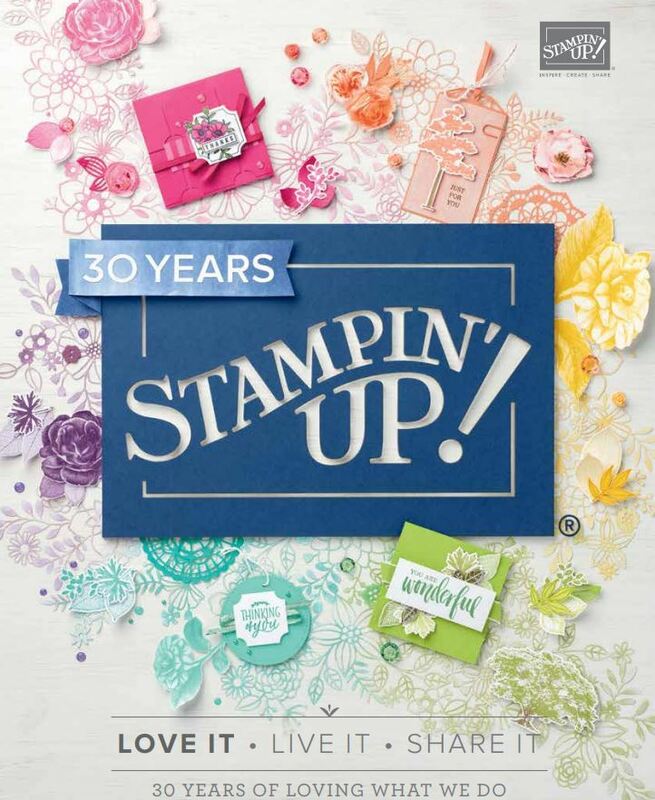 If you haven’t joined yet ..find us on Facebook and come and see all the wonderful scrapbooking ..using Stampin’ Up! products. So, most of my friends, class ladies and team know that I love to make mini albums! I make them often and usually from scratch but there is also a HUGE amount of tutorials online …and that is why I’ve set this challenge! We can be inspired by all these fabulous mini albums! It can be any which way and how you want to make it ..but Make a Mini is Septembers Challenge. Here’s what I came up with using some new Holiday Catalogue products. Frosted Floral Suite and some products out of the Annual Catalogue..most importantly the Kraft Pillow Boxes! These I altered with my Blends. I used all 10 Kraft pillow boxes for my Mini Album, a half pack of the Frosted Floral Specialty DSP, and matching cardstock and some Tranquil Tide Velvet ribbon. Normally, I add photos ..but I made this album with my regular class in mind. They can either use it as a Christmas album or a Holiday album of their holidays abroad or locally. The diecuts and stamping showing the versatility this album can bring. With a lot of my mini album classes, they spend the time making the album and can add photos later as that takes the time to journal and embellish. So before you ask, here’s the dimensions of the insert. For the Pillow boxes, I just scored at a half inch on one end. With these sorts of interactive albums, I use mainly a mix of tombow multi adhesive glue and Tear tape. The cover and base.. I cut two heavy duty board at 6 1/4″ (I used the backing board from the copper/gold/silver etc foil). I covered both with the Specialty DSP. Products used were: HC (Holiday Catalogue) First Frost Bundle, Frosted Floral Specialty DSP, Frosted Foral CS pack, Tranquil Tide 1/4″ Ribbon, Country Lane stamp set, Merry Christmas Thinlits, Galvanized clip AC Kraft Pillow Boxes, Silver and Pool Party Bakers Twine, Various colour coordinating Blends, Celebrate you Thinlits, Stitched Labels Framelits. So I hope you come join, be inspired and more importantly..make some amazing mini albums this month and share it in our Challenge! Its a British term that us New Zealanders also say! It means very pleased! You are very generous with your sharing – thanks. AND thank for help last night.